I highly recommend using this sign shop. With acrylic signs custom-designed and professionally made by Made 2 Measure Signworks, you can give your establishment the fresh, sleek look that speaks your brand. We have acrylic signs that can meet countless business sign needs. You can have acrylic menu boards, room IDs, wayfinding signs, product displays, directional signs, POP signs, hanging signs, lobby signs, and many more! Versatility is one of an acrylic sign’s best features, but it could also mean you’d have a hard time looking for the type of sign to best suit your exact needs. 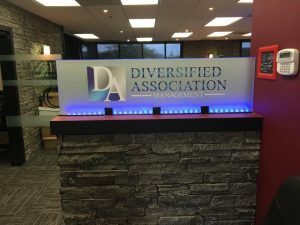 As a full-service sign company that specializes in high-quality acrylic signs, Made 2 Measure Signworks is here to help. Our experienced signage specialists can look into what you’re looking for, what your budget is, and which acrylic sign type can give you what you’re expecting to get. Not all acrylic signs are created equal. Though they serve a variety of purposes and can be fabricated for different types of uses, it’s important to get them made in a way that enhances its effectivity and increases its lifespan. One way to do this is to determine how you want your design to be printed on your particular acrylic sign: standard surface or subsurface printing. And Made 2 Measure Signworks has the skill and equipment to do both. Standard surface printing means Made 2 Measure Signworks prints your design on the front side of the acrylic. This gives your sign a matte finish and a thicker feel. If you aren’t exactly fond of having transparent signs and would prefer to have the design cover up the space on the sign, then standard surface acrylic signs would be a good option for you. Subsurface surface or second surface printing means we print your design on the back side of the clear piece of acrylic. Made 2 Measure Signworks prints the design in reverse so that it can be seen through the front. Subsurface acrylic signs have a glossy finish and a feel of depth. Though they cost more than standard surface signs, having your design printed under the layer of acrylic does give your sign more protection from elements and makes it last longer in the outdoors. If you’re looking for signs that comes with a glass-framed appearance and a layer of protection for your design, subsurface acrylic signs will do the trick. Having been in the sign-making industry for a long time, we understand that an acrylic sign’s opacity has a huge effect on its appeal. And because we want to give you a sign that perfectly captures your brand identity, Made 2 Measure Signworks offers clear and frosted style options that you can choose from. Our clear acrylic signs give your business a smooth and modern corporate look with its clean glass-like appearance, perfect transparency, and rich high-gloss finish. You can even give your sign a three-dimensional feel by applying a background color on the back side of the clear acrylic. With clear acrylic signs by Made 2 Measure Signworks, you can get an affordable, lightweight, shatter-free alternative to glass signs. Our frosted acrylic signs are not entirely transparent, but instead offer some translucency to your sign. 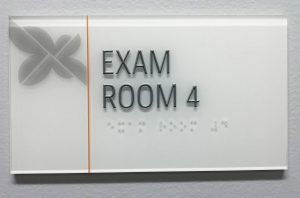 With their matte finish, frosted signs by Made 2 Measure Signworks are great for diffusing harsh light, reducing glare, as well as delivering a certain level of privacy. This effect brings out a softness and calm that can best suit your brand. 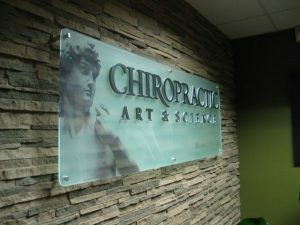 If you place a light source in front of your frosted acrylic sign, the frosted effect helps emphasize and add dimension to your design. Our frosted signs and their utilitarian features are perfect for businesses that are looking for signs that can do more than just attract attention. Acrylic signs are more versatile than we think! 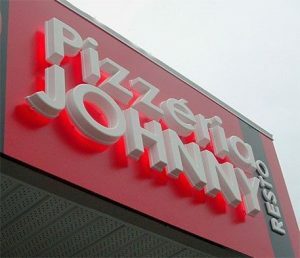 While this affordable and highly durable sign option is quite popular for their indoor sign functions, it can also be effectively used outdoors. Made 2 Measure Signworks is committed to producing them in the highest quality possible so that we can provide you with the acrylic sign that’s perfect wherever you want it. Made 2 Measure Signworks’s acrylic signs are also a practical option to go for when choosing exterior signs. While they don’t last as long as those kept indoors, outdoor acrylic signs are still quite durable and can effectively promote your business to passersby and onlookers. They have to be used quite differently though. You can use them as entrance signs, dimensional letters, wall signs, cabinet signs, and even have them illuminated. We at Made 2 Measure Signworks are proud of our years of experience in the sign-making business. We are a trusted custom acrylic signs provider and have been producing them with the most effective processes, best materials, and most meticulous eye for detail. Our products are made of the best shatter-resistant polymer, printed with premium UV ink, as well as handled and installed by the most qualified signage specialists in the area. Made 2 Measure Signworks even has a strong team of graphic artists who can help you out with your sign designs if you don’t have one yet. As a proven full-service sign company, we help you through the sign-making process from planning to installation. When it comes to looking for the perfect acrylic sign that suits your brand message, what you need is a tried-and-tested signage provider that can identify your needs and provide answers to your questions. And Made 2 Measure Signworks is exactly that. With our knowledge and experience in sign-making, our top-of-the-line equipment, and our passion to give you the best, Made 2 Measure Signworks would be more than happy to create attractive custom signage that meets your business needs as well as your budget. Call Made 2 Measure Signworks today at (647) 699-7654 for your Free Consultation with an Acrylic Signs Expert! Professional, responsive and provide great customer service. The work was done so quickly and efficiently.